Have you noticed any problems with your computer recently? Does it crash more than expected? Are you running out of hard drive space but can’t find the cause? The answer could be improperly uninstalled programs. Uninstalling programs should be easy. After all, nearly every program you download comes with an uninstallation feature. Should be as simple as a click of a button, right? Often, default uninstallation routines leave behind a mess of hidden files, registry entries, and applications. Like guests who’ve outstayed their welcome, they slouch inside your machine, taking up hard drive space, interfering with other programs, and mooching CPU and battery power. Thankfully, the talented developers over at Ashampoo have developed a program that kicks these digital squatters out. It’s called Ashampoo Uninstaller 8 . 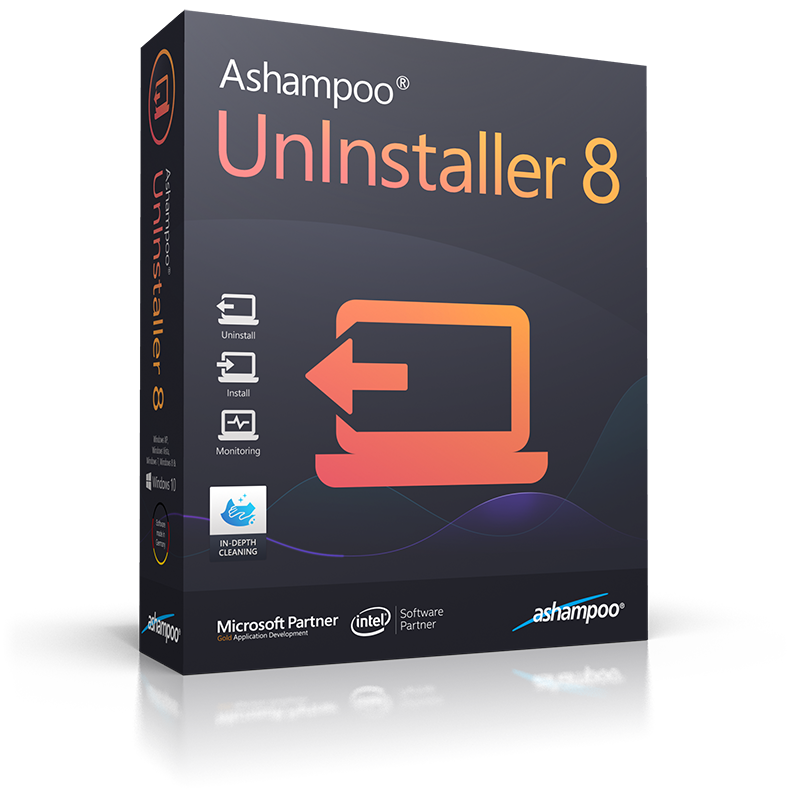 Ashampoo Uninstaller 8 is an award-winning upgrade to its critically-acclaimed line of uninstallers. Its four-stage prevent and cure method could speed up your machine, prevent crashing, and free up GBs of hard drive space. Software manufacturers are more worried about getting their programs on your machine than getting them off. As a result, some uninstall routines are faulty, while others are deliberately bad. When an uninstall goes wrong, you might not even realise it. Do you regularly check registry entries? Do you know the purpose of every file on your machine? Unlikely, and that’s why people end up blaming problems on other things. Once the application icon disappears, we’re tricked into believing the program has gone, when in fact, pieces of it linger – such as registry entries and application files – and this clutters our machine, causing problems. Bloatware is another cause of computer clutter. When you buy a new machine, it usually comes with a host of programs you’ll never use. Not only do they take up space, but they often slow down your machine, too. Some applications come as an “nested” install. That means they install more than one program at once. While the main program might be desirable, the extras might not, so you could get lumbered with a bunch of unwanted programs. Nested installations also make uninstallation harder – even Microsoft discourages them. Then there’s the risk of malicious software, too. You might’ve clicked a bad link or opened an infected attachment. Malware digs deep inside your system and is near impossible to remove without specialist software. Ever seen a new toolbar in your browser? Or found your browser running slower than usual? Chances are you’ve been infected by a bad plug-in, extension, or worse. 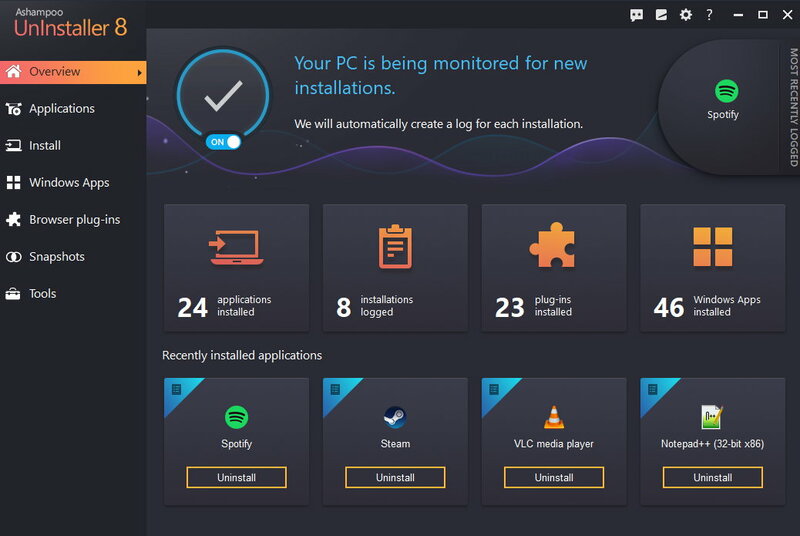 To call Ashampoo Uninstaller 8 an uninstallation tool isn’t quite right – it does so much more than simply finding and deleting unwanted or malicious files. For one, it monitors every single installation you perform to detect and log system changes. That way, when you decide to uninstall a program, it can reverse every modification the program made to your machine. It also includes a system snapshot tool that lets you compare your system before and after the installation of a new program. This is especially useful for finding those unwanted files hidden inside other applications. With every Windows install, you get to see exactly what changes you’re about to make, and can customise the installation for your own requirements. The deep clean and deletion algorithms are highly sophisticated and can track down and remove every byte of data missed by default uninstallation routines. Even if they’re unlogged or belong to applications installed before using Ashampoo Uninstaller 8. With all that technology packed in, you’d be forgiven for thinking the program was complicated to use. In fact, it’s super easy. Everything is done through an intuitive user interface with simple descriptions and buttons that declare exactly what each function does. Better yet, you can simply drag and drop for a complete uninstall of any program on your computer – even the hidden ones. 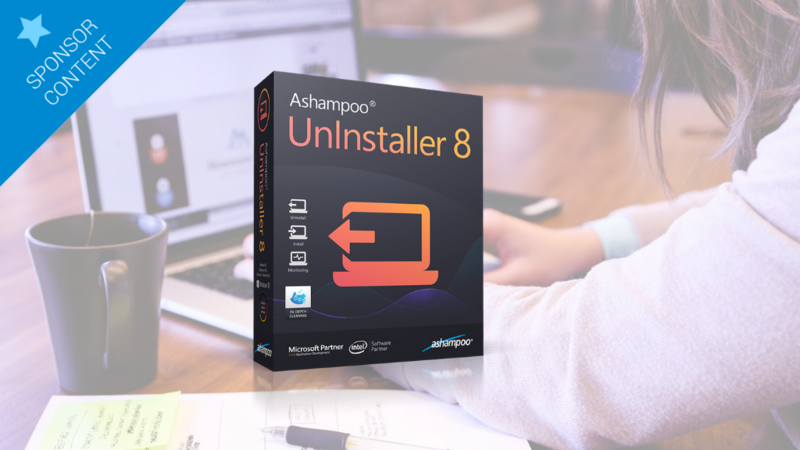 Ashampoo Uninstaller 8 is the perfect way to rid your file of unwanted, problem files and registry entries, and its installation monitor ensures you can reverse anything a program does to your machine. This will free up hard drive space on your computer as well as improve its performance. And at just [enter price] , we think it’s a bargain. 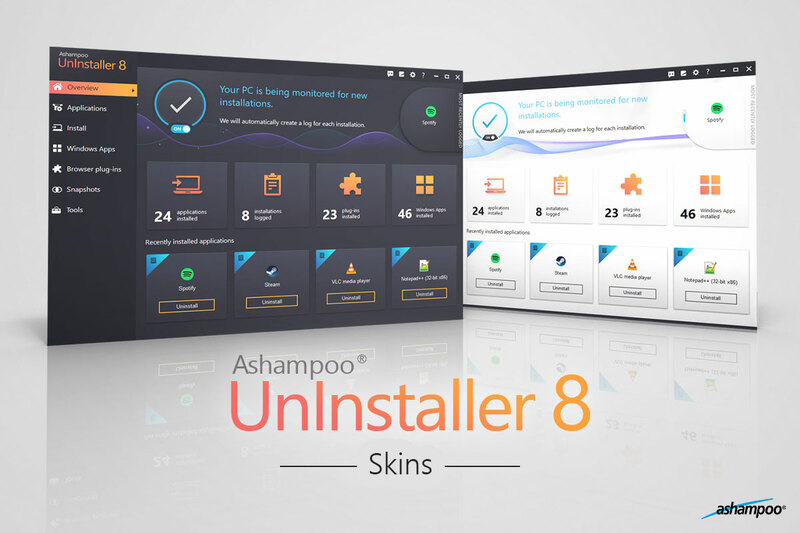 So go on, download Ashampoo Uninstaller 8 and say goodbye to system clutter for good.